Contest: Win an NES Classic and SNES Classic Prize Pack! 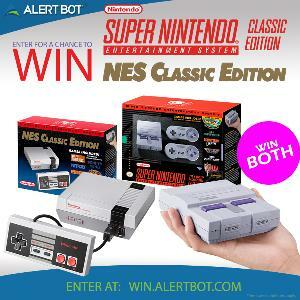 Win an NES Classic and SNES Classic Prize Pack! Prize: 1 Lucky Winner will Win an NES Classic and SNES Classic console.